The College will welcome alumna and Duluth Mayor Emily Larson to deliver the commencement address for its spring graduation ceremony. Commencement will be at 2 p.m. Saturday, May 12 in the Amsoil Arena at the Duluth Entertainment Convention Center. Larson received her bachelor's degree in social work from St. Scholastica in 1995 and worked in that field before entering the political arena. She was elected Mayor of Duluth in November 2015 with 72 percent of the vote. She was inaugurated on Jan. 4, 2016. Prior to becoming Mayor, Larson was President of the Duluth City Council, served as a Commissioner on the Duluth Economic Development Authority and was the Council conduit to Parks and Libraries. Currently, Larson serves as a member of the Young Women's Initiative of Minnesota, and is a seated board member to the Great Lakes and St. Lawrence Cities Initiative and the Greater Minnesota Housing Fund. 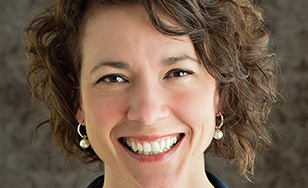 As Mayor, her priorities include sustainable energy, increasing and improving Duluth's housing stock, addressing the opioid epidemic, developing a stable and reliable long terms streets funding plan, and continuing to grow Duluth's robust and unique economy. "We are so pleased that Mayor Larson will be a part of this special day for our college," said St. Scholastica President Colette Geary. "As an alumna of the College, her presence and message will be all the more meaningful to our graduates and their families." The Spring Commencement ceremony will celebrate the achievements of about 860 graduates, which includes 560 baccalaureate candidates and 300 master's and doctoral candidates. The day's activities will also include a Baccalaureate Mass service at 9:30 a.m. in the Mitchell Auditorium and a Graduation Brunch from 10:30 a.m. to noon in the Greenview Dining Room on campus.